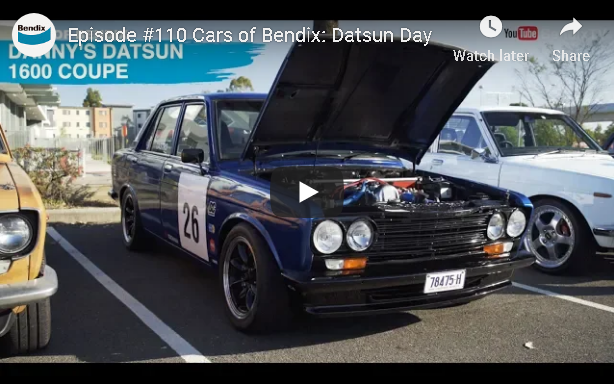 The 9th Annual Datsun Day saw the 50th Anniversary celebration of the iconic Datsun 1600. 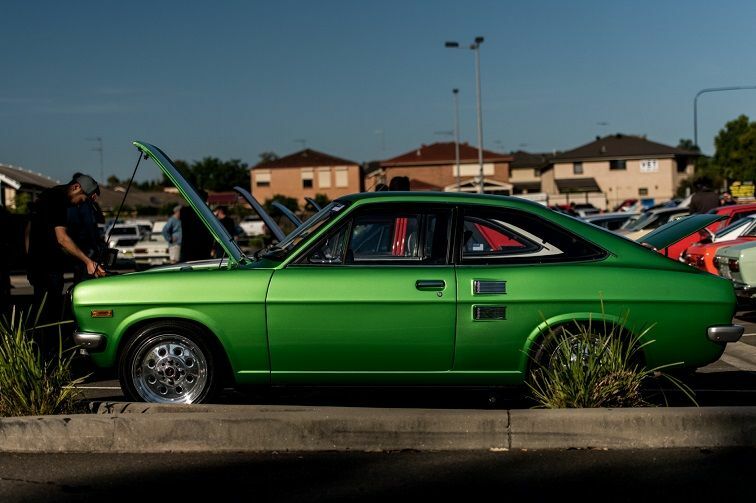 This event was one of the most well attended in all their years, with sunny weather and set in the car park of iconic Ettamogah Pub in Western Sydney it was a great place to search out our Cars of Bendix. This very tidy 1200 Coupe is near perfect! The CA18 is pushing close to 400kW thanks to the GT3076 turbo, backed by a 4 speed auto that runs into a Borg Warner LSD. 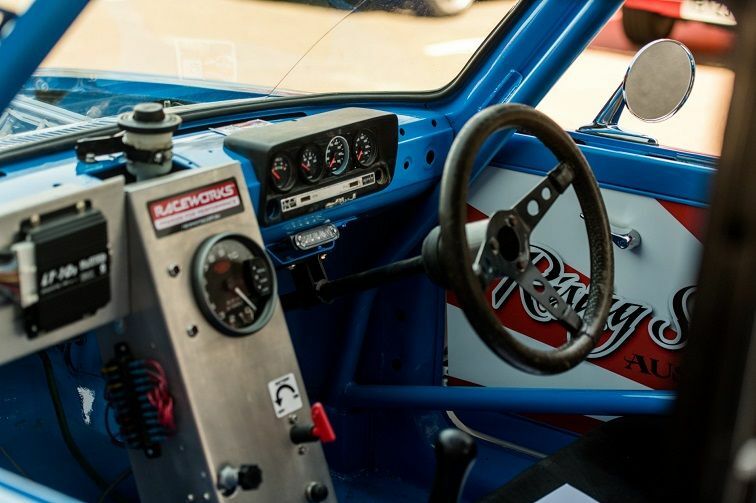 Inside the cabin sits a custom dash, with a Momo steering wheel and Velo racing seats, which Rob is looking to re-trim in the near future. 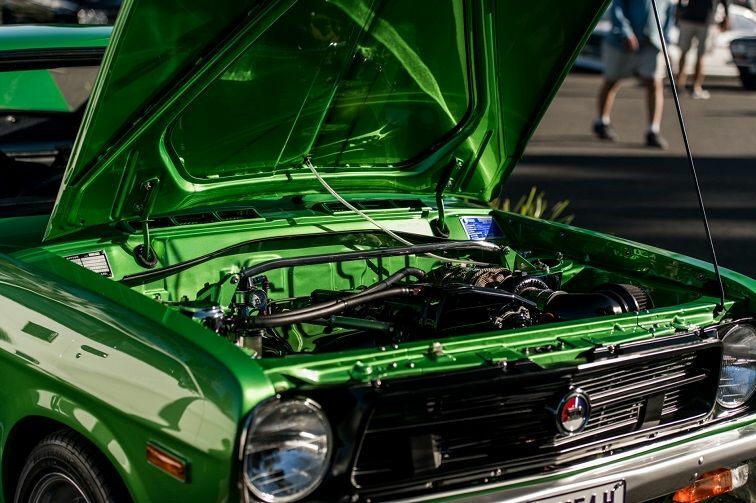 The Mazda 2 Spirited Green Metallic paint, with a touch of gold spec through really sets this little Datsun off. 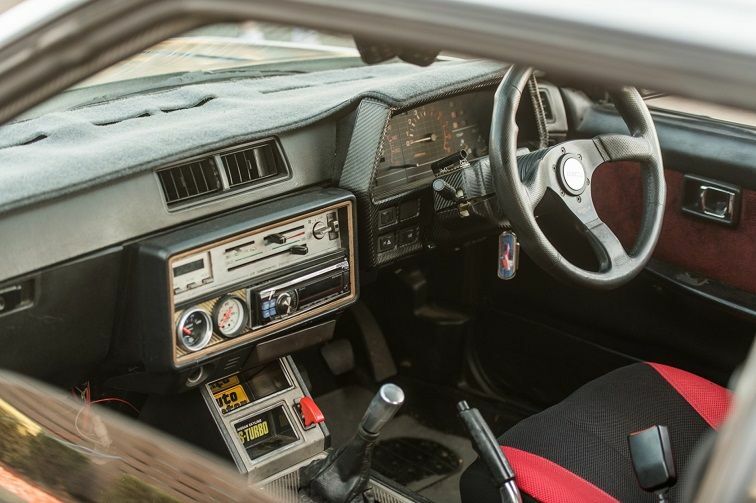 Every inch of its old metal has been carefully restored and every piece of plastic trim refurbished or replaced, it’s a true joy to look at the craftmanship in this car. 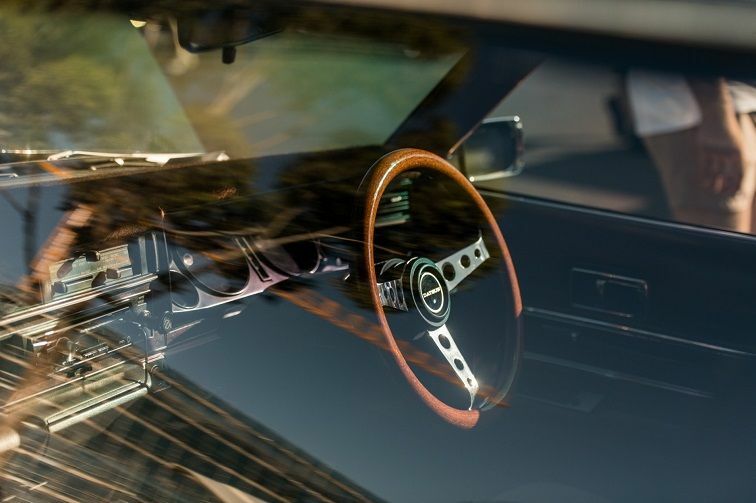 If you were after a VIP ride in the late 70s, this car would certainly be at the top of the list. Mark was lucky enough to pick up his Australian delivered 1977 H330 from a little old lady who had owned it for over 20 years. It came with all the bells and whistles - aircon, power steering, 4 speed auto, electric windows, velour interior & electric aerial, very high-tech for its time. Another retro addition was the roof console, making it feel like the C**k of an airplane. The L26 engine is enough to give this 1,440kg beast a comfy ride and has seen the car doing a few interstate trips to Melbourne and back. 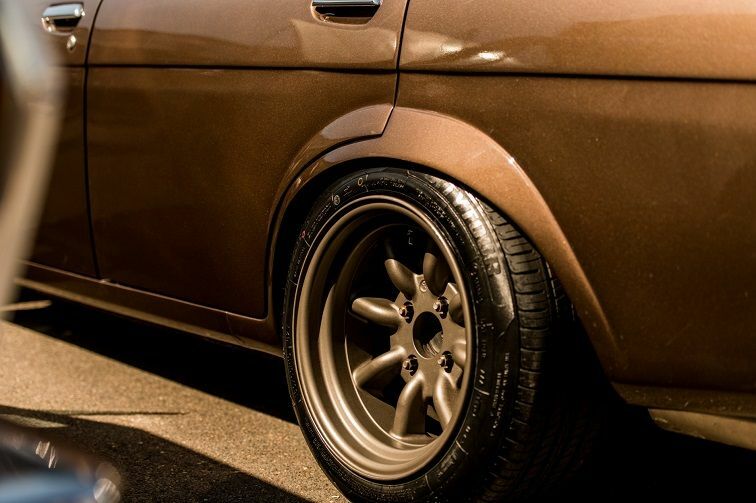 Being a co-owner of Barrel Bros Quality Wheels, the car is constantly changing her 14" shoes; currently sporting a set of Super Star Co. SS-03s. There are some strong American influences in the exterior styling of the car which really makes it a one of a kind. 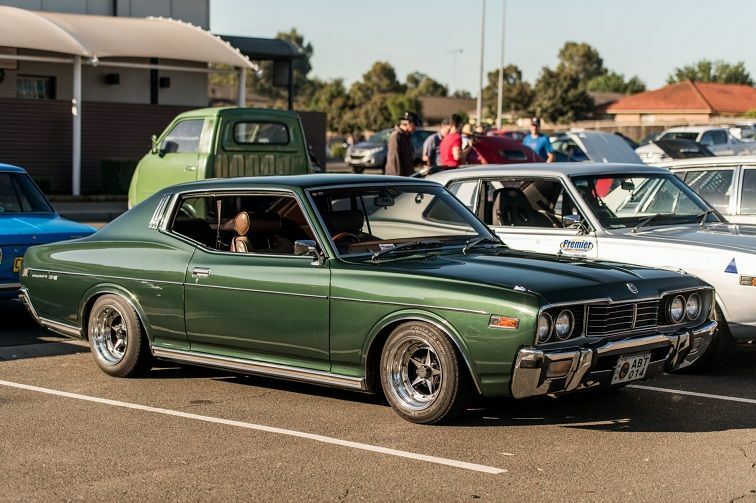 Just one of 3 cars owned by Obi that made it out to Datsun day, this DR30 is pushing 210kW at the rear wheels powered by a Stewart Wilkins build FJ20T engine. The engine is set up with forged internals, aftermarket cams, 6 Boost manifold coupled to a larger turbo and front mount intercooler. The wheels and ride height, mixed in with the touring car wing from the 80s really give the DR30 Skyline that race inspired feel which brings us to an Interesting fact, a Skyline DR30 claimed pole position in the 86 Bathurst 1000 with Gary Scott behind wheel with an amazing time of 2m17.6s and ended third in the race overall. 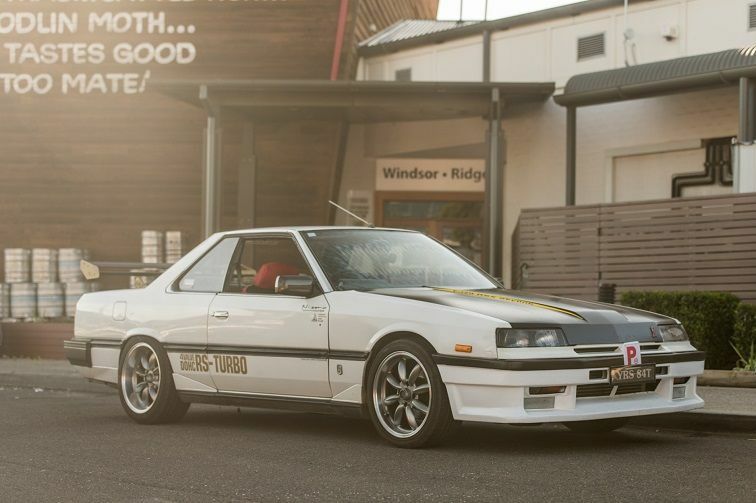 This little beauty certainly turns heads, not just in the aesthetic department either, having won a number of events around Mount Panorama, and holding the mountain straight hill climb record for sports sedans 1300-2000cc. 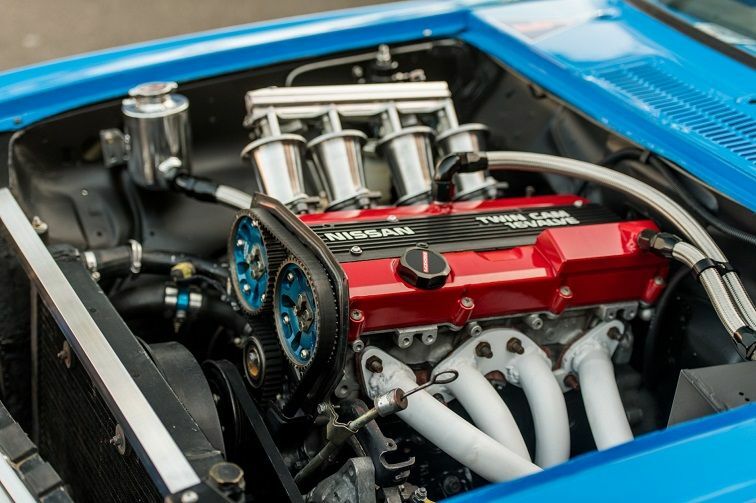 Under the hood sits a high compression CA18DE race engine with custom camshafts, solid lifters, forged bottom end, custom ITBs with stand-off injection & baffled sump, just to start…. Aden has more plans in the (Race)works for more power with a complete engine refresh. The body has also had an extensive amount of work done too with hand-made fibreglass front guards, hand fabricated aluminium door skins & rear wing chord from a mid 90’s HSV V8 supercar with alloy end plates. The custom paint is modelled on the 70's BRE scheme from USA and set off with red SSR MKII wheels with slick tyres. A long running project of Michael’s since the car was purchased completely stock when he was just the age of 15. It has changed colours 3 times, 4 engines and countless suspension & brake setups, I think it’s fair to say Michael loves modifying his 1600! The engine is a SR20VE head on an S15 SR20 block fitted with SR16VE N1 cams, SR16 pistons with shaved heads, BC valve springs, modified Nissan S15 Silvia Autech Fujitsubo headers and a set of Toyota AE111 Blacktop 20V ITBs. It is all run through a Haltech Elite 750 with wide band O2 sensor and is tuned on E85. Underneath the car sits an SR20 Gearbox, R180 longnose diff with 4.875 final drive ratios and rear adjustable cross member. The front coilovers are custom HR31 Skyline struts, with S13 calipers, whist the rears are ground control coilovers with R31 brake calipers. 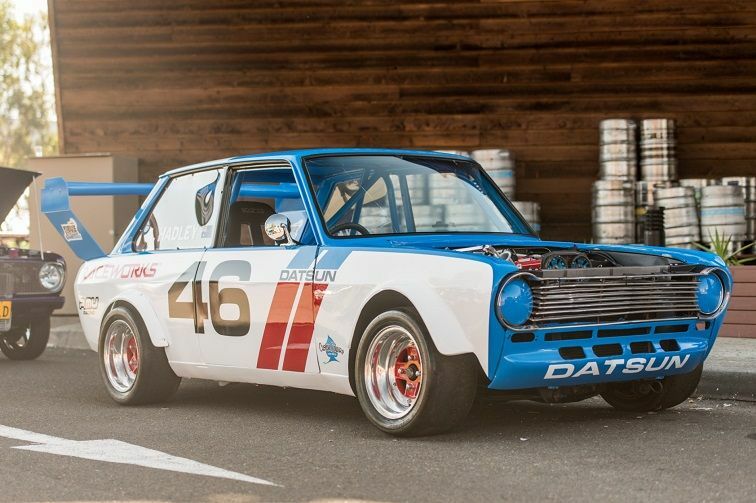 Bodywise the Datto has custom metal flares with 15” Watanabe wheels fitted under them, a BRE style front spoiler with the fender mirrors from a Datsun 510, as are the rear tail lights. This car is a piece of 1600 perfectionism! 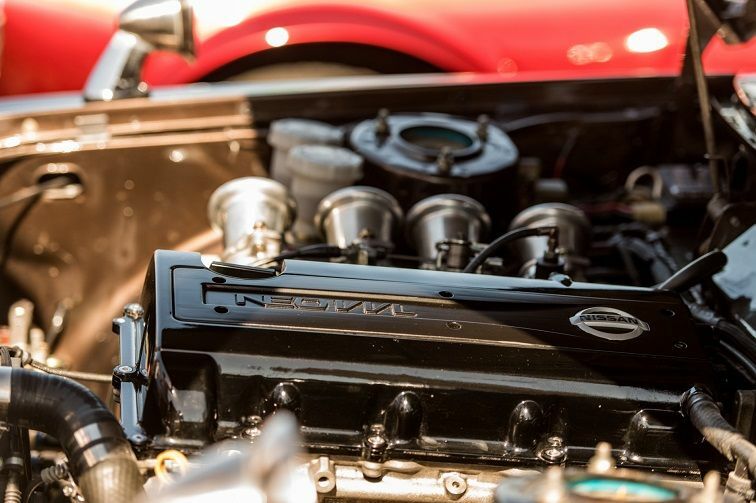 The Datsunville 1972 Datsun 240Z has just had a small refresh of its RB25/30 engine; first built 20 years ago, the first of its kind. It's now making 426kW with the addition of twin GT2871R Turbos, a Jatco 4 speed Auto transmission, an R200 3.9 Diff, and a hefty cannon at the tail end of the exhaust. 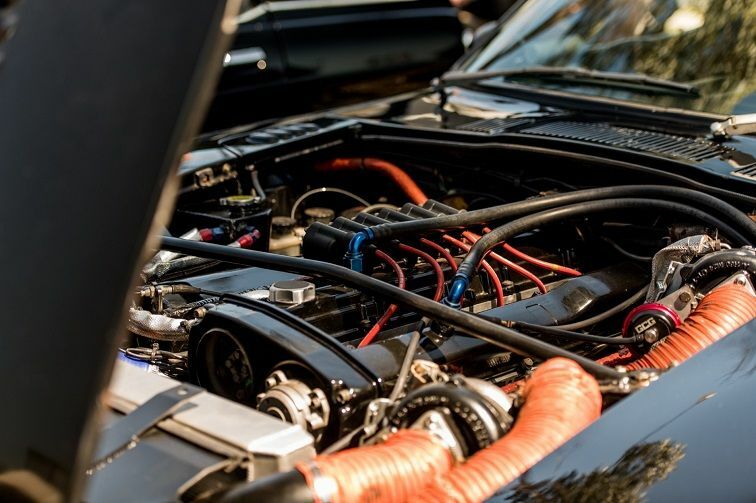 Looking around the engine bay you can see the attention to detail with quality parts used to extract every ounce of performance and reliability. The 17/7.5 zepters rims are really set off against the sleek black paint. 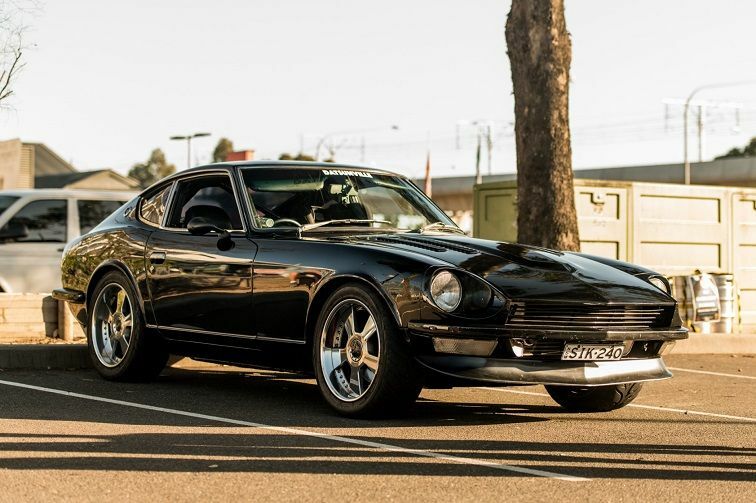 This 240Z is purposeful and menacing with its sharp front end and piercing headlights it could give any modern supercar a run for its money with low weight and big power.